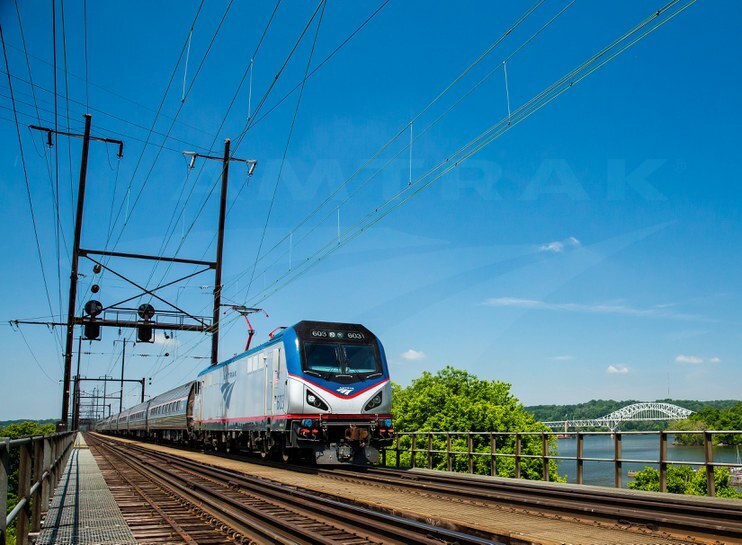 Amtrak recently unveiled a new Northeast Corridor (NEC) website (NEC.Amtrak.com) to raise awareness about NEC infrastructure needs and build support for capital investment in projects crucial for economic growth in the region. The NEC connects Washington with Boston, linking together eight states and the District of Columbia. The Northeast Corridor includes bridges, viaducts and tunnels. The new website includes project information and updates, maps, graphics, and other resources about several NEC infrastructure projects now under construction or in the planning stage. Highlighted projects include the Gateway Program to expand rail capacity into New York City and replacement of the Susquehanna River Bridge in Maryland. Approximately 260 million passenger rail trips occur every year on the NEC on Amtrak and eight commuter railroads that operate over the line. Significant capital investment in the aging infrastructure—elements of which are more than a century old—is necessary to deliver capacity and reliability to meet current and projected future demand for passenger rail service in the Northeast and reverse decades of underfunding. Inspired by this spotlight on rail infrastructure needs, we thought we’d dig through the archives and take a short visual tour of key bridges and tunnels—many historic— used by Amtrak trains from coast-to-coast. The image most likely shows a Connecticut Valley Service (New Haven-Springfield) train, led by F40PH locomotive No. 213 in the Phase III paint scheme. Then-relatively new Amfleet equipment makes up the consist. In the summer of 1988, Amtrak and the New York State Department of Transportation announced the West Side Connection as a way to consolidate all intercity passenger trains serving New York City at Penn Station. At the time, trains heading south and east from the city used Penn Station, while trains heading north and west used Grand Central Terminal. The plan took advantage of a strategic freight line, shuttered in 1982, that ran approximately 10 miles up the west side of Manhattan and crossed to the mainland in the Bronx; from there, it connected with the existing tracks used for northbound service. On April 7th, 1991, all trains formerly using Grand Central Terminal—including the Lake Shore Limited and Empire Service frequencies—shifted to Penn Station. The key link in the West Side Connection is the Spuyten Duyvil Bridge, constructed in 1900 by the New York Central & Hudson River Railroad to span the Harlem River near where it meets the Hudson River. It features a central turntable so the bridge can swing to allow waterborne traffic to pass. According to Christopher Gray of the New York Times, a 1983 collision with a tug left the bridge in an open position; since freight service over the rail line had ended the year before, no repairs were undertaken until the West Side Connection project got underway. Here, a northbound Empire Service train led by P32 No. 712 crosses over the bridge; in the background is one of the towers of the George Washington Bridge. The Hell Gate Bridge is probably one of the most iconic along the NEC and spans the East River between the boroughs of Queens and Manhattan. Completed in 1916 to designs by civil engineer Gustav Lindenthal, the bridge connected the Pennsylvania Railroad and the New York, New Haven and Hartford Railroad. Its elegant arch would later serve as the inspiration for the Sydney Harbour Bridge in Sydney, Australia. 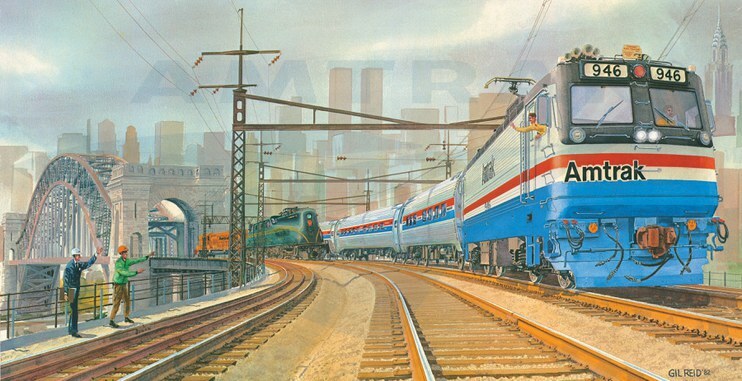 This painting by Gil Reid was featured on the official Amtrak wall calendar in 1983. Against the majestic New York City skyline, which includes the World Trade Center towers and the Chrysler Building, a Boston-bound New England Metroliner passes GG-1 No. 4935 on the Hell Gate Bridge. The former is led by an AEM-7 electric locomotive pulling single-level Amfleet cars. The introduction of the AEM-7s beginning in 1978 allowed Amtrak to finally retire the hard-worked GG-1s purchased from the Pennsylvania Railroad. In the painting, the GG-1 is on its way to the Railroad Museum of Pennsylvania, where it remains on display today. Located upstream and west of New Orleans in Jefferson Parish, the Huey P. Long Bridge was the region’s first permanent railroad and automobile crossing over the Mississippi River. Although long-dreamed of by railroad promoters and city boosters, bridge construction did not begin until 1933 during the Great Depression. Today the New Orleans Public Belt Railroad owns, operates and maintains the railway portion of the bridge while the Louisiana Department of Transportation and Development maintains the roadway. When completed in 1935, the soaring structure was the longest steel trestle railroad bridge in the world. The well-known engineering firm of Modjeski, Masters & Chase, Inc. designed the 4.36 mile long bridge at a cost of $12.8 million. It originally contained two railroad tracks in the center, flanked by two-lane highways on either side. From 2006 to 2013, the state of Louisiana undertook a $1.2 billion project to widen the bridge by adding a lane and shoulder in each direction. 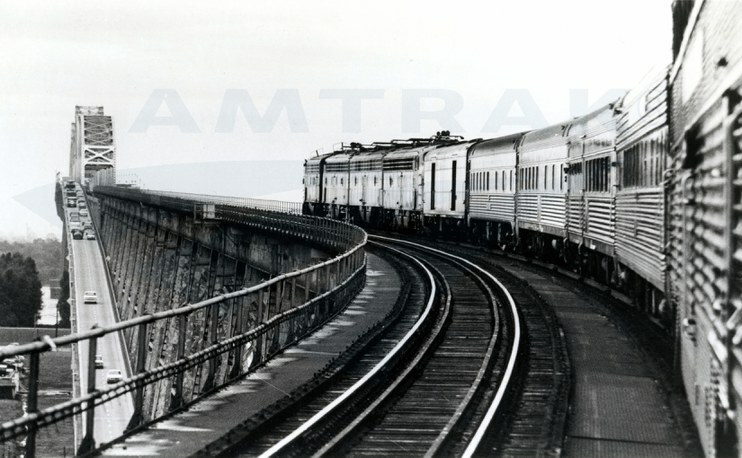 The train in this image consists of single-level cars purchased from the predecessor railroads, as new bi-level Superliner cars would not be in use on the Sunset Limited until early 1981. 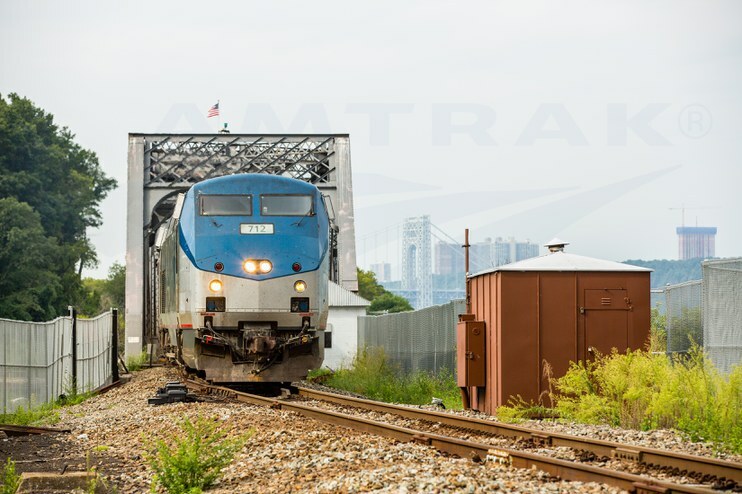 A southbound Acela Express train exits the west portal of Union Tunnel as it prepares to make its scheduled stop at Baltimore Penn Station. Union Tunnel, measuring 3,410 feet long, was completed by the Pennsylvania Railroad (PRR) in 1873. By constructing Union Tunnel to the east of the station and the Baltimore and Potomac Tunnel (B&P) to the west, the PRR completed a new, direct route through Baltimore just north of the bustling downtown and harbor. 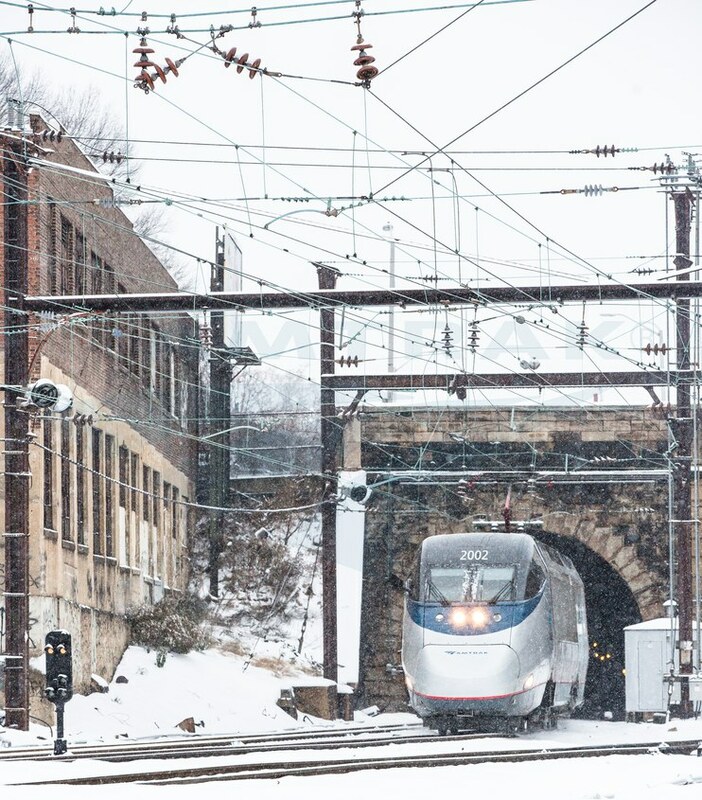 Amtrak, the Federal Railroad Administration and the Maryland DOT are currently undertaking a preliminary engineering and environmental analysis to study improvements to the B&P Tunnel, which requires significant replace­ment or rehabilitation to extend its useful life. One out of five Amtrak passenger trains, including long distance and corridor trains, currently travels through Baltimore. The study will develop and evaluate various alternatives based on the need to improve capacity and travel time along the Northeast Corridor. It will also take into consideration reliability and safety for commuter, freight and intercity rail services using this portion of the rail line. 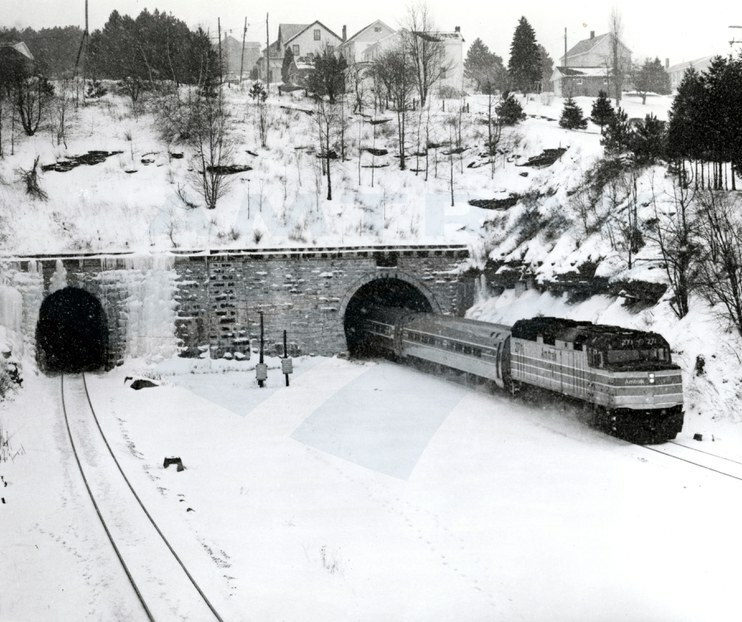 The Allegheny Tunnel at Gallitzin in western Pennsylvania was constructed by the Pennsylvania Railroad between 1851-54 to cross the Allegheny Mountains. When finished, it was the longest railroad tunnel in the United States at 3,612 feet and allowed trains to pass between Philadelphia and Pittsburgh without the need for inclined planes. Between 1902 and 1904, the Gallitzin Tunnel was excavated to the north (shown to the left in this photograph). Conrail lowered the road bed and added a second track to the Allegheny Tunnel in the mid-1990s to create clearance for double-stack freight trains. Once these improvements were finished, the Gallitzin Tunnel was closed. Today, this infrastructure is owned by Norfolk Southern Railway and is used by the Pennsylvanian (New York-Philadelphia-Pittsburgh). 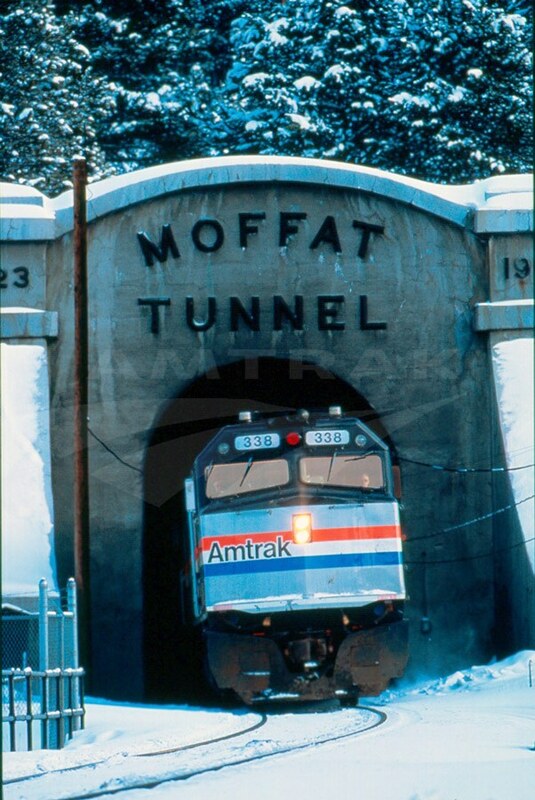 Moffat Tunnel is a railroad and water tunnel that cuts through the Continental Divide in north-central Colorado. Named after Colorado railroad pioneer David Moffat, the tunnel's first railroad traffic passed through in February 1928. The eastern portal is 50 miles west of Denver, Colo., in the Front Range, about 10 miles west of the town of Rollinsville, while the western portal is near the Winter Park Resort ski area. The 6.2 mile tunnel cut the distance between Denver and the Pacific coast by 176 miles when it opened. Prior to its construction, the original Denver, Northwestern and Pacific railroad crossed Rollins Pass with a series of switchback loops and steep grades. A need for frequent snow removal in the winter months made this original route unprofitable. Today, passengers aboard the California Zephyr can enjoy passing through this engineering marvel. 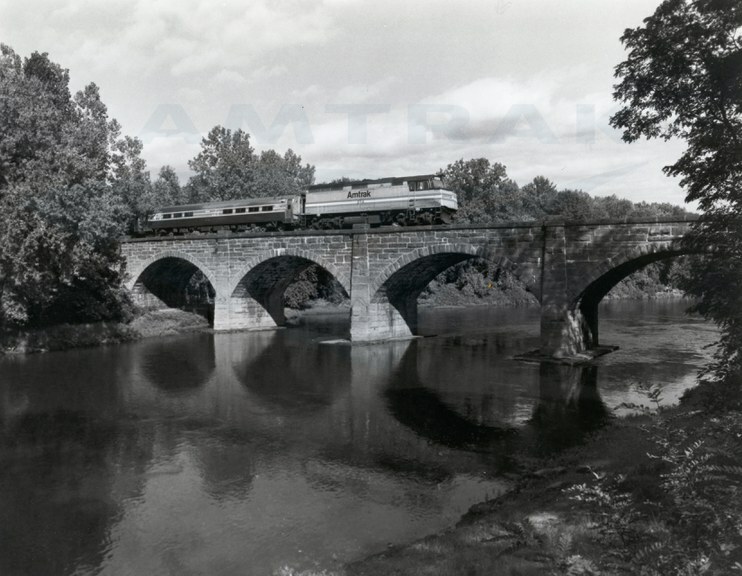 Do you have a favorite piece of American railroad infrastructure—a bridge, tunnel, viaduct or station? Share it with us in the comments section below.